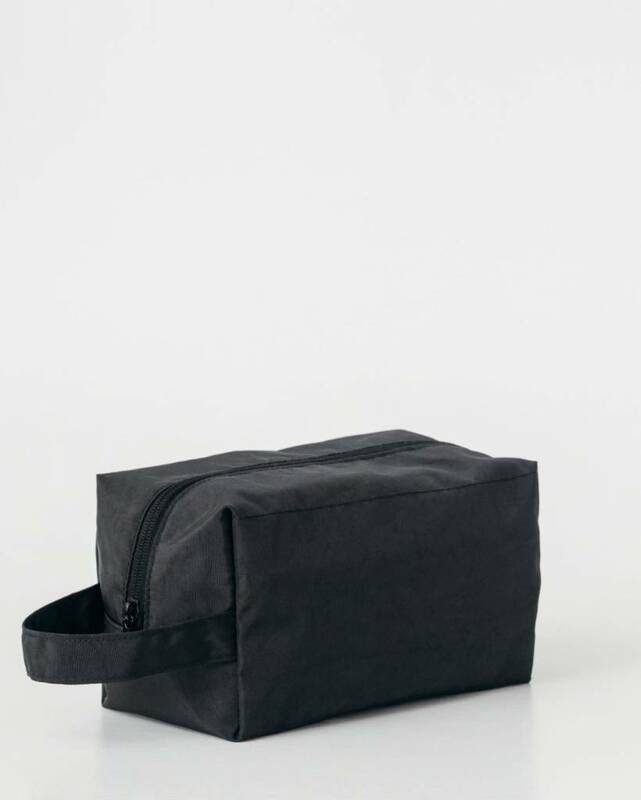 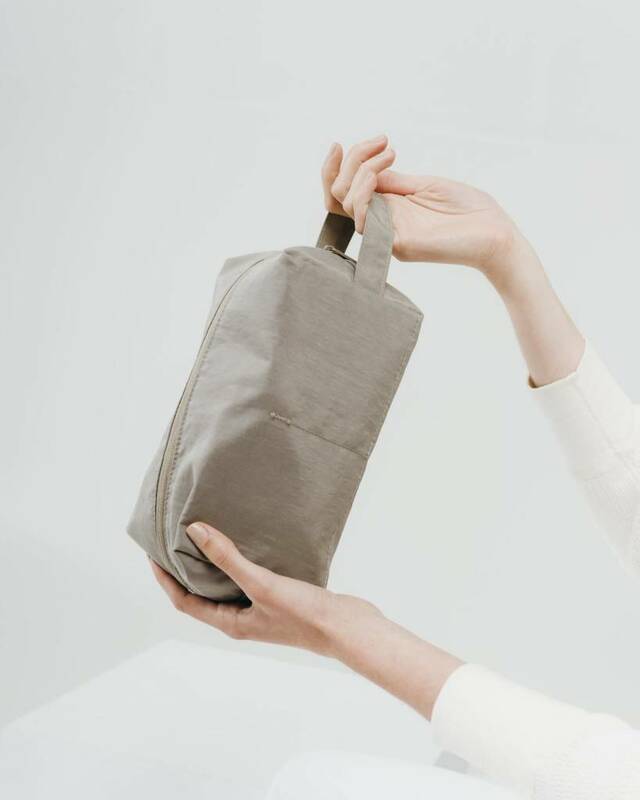 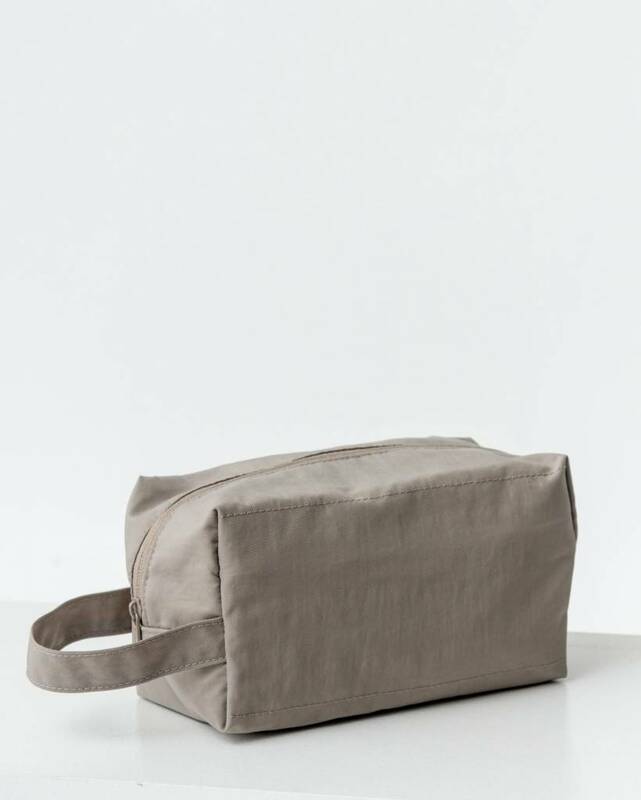 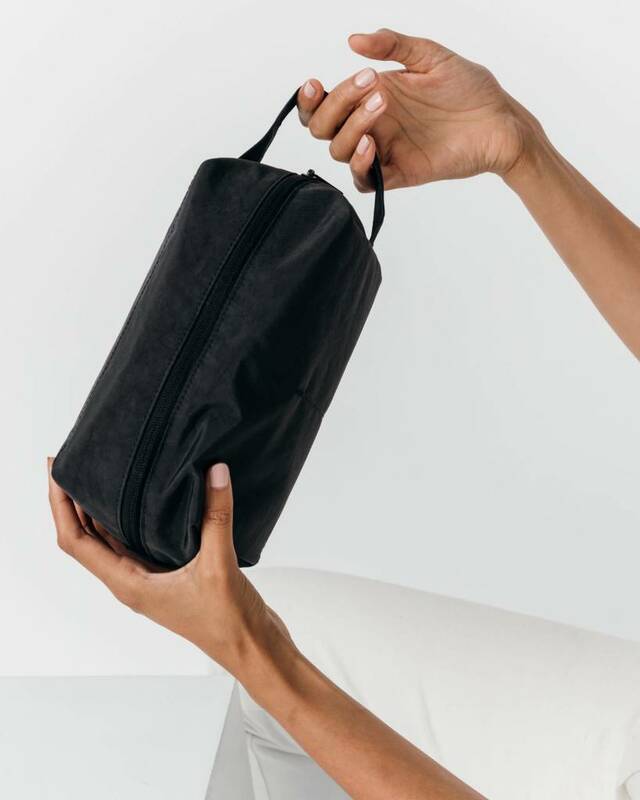 A perfectly simple toiletry bag from Baggu. 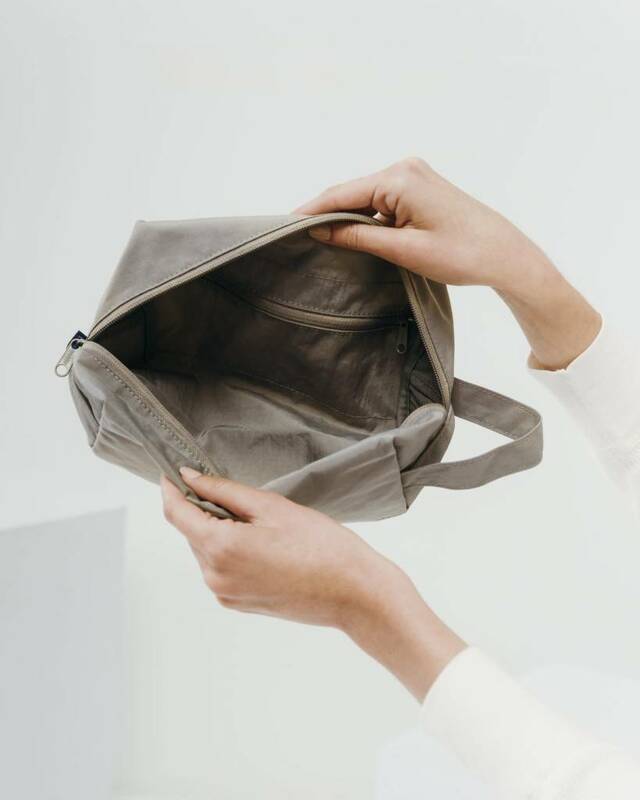 Three interior pockets, including one with zip top. 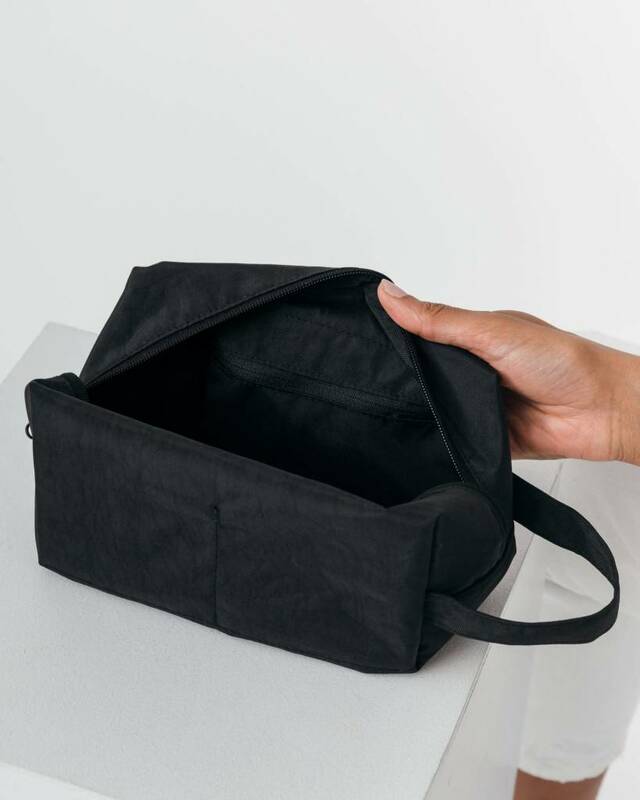 Loop for carrying or hanging.